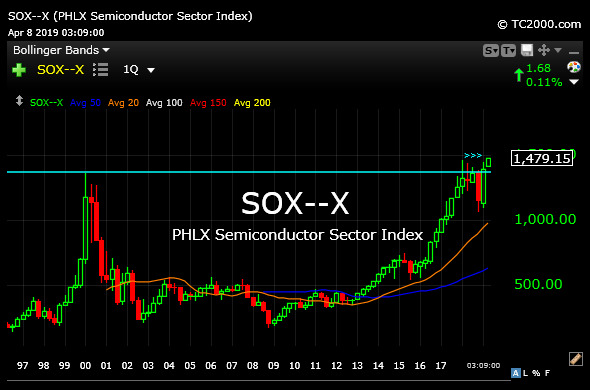 In a video for Members in recent weeks we covered a long-term look for the Philadelphia Semiconductor Index, the "SOX." As you know, the chips were at the epicenter of the Nasdaq dot-com bubble at the turn of the century. But on the return trip to those 2000 highs we expected at least some pause over a period of months, if not quarters, as those highs represented the peak of a once in a generation, if not once in a century, bubble. Hence, the last few quarters of the chips flopping around like a fish out of water should not be much of a surprise, especially as other segments of tech like software emerged as the trendy new plays and former leaders in chips like NVDA finally corrected. 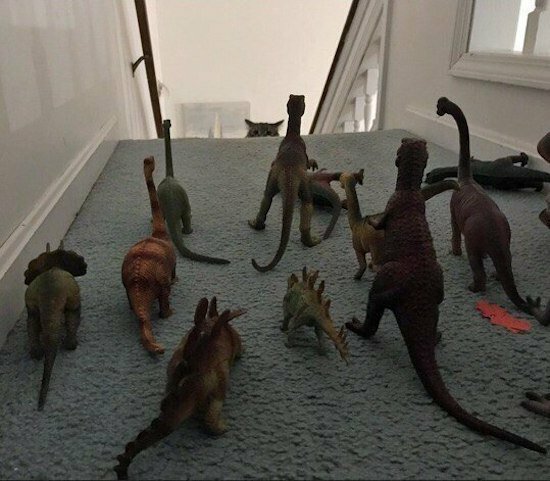 Now, however, the SOX looks to be on the verge of leaving those epic highs in the dust, as bulls have had many quarters now to battle through a proverbial Jurassic Park of resistance from the old dinosaur days of tech. On the SOX quarterly chart, below, one can argue a bull flag at the dot-com highs is uncoiling higher. To support that notion, many individual holdings in the SMH sector ETF have been acting rather impressively, such as CREE and OLED, and many others are continuing to do so.